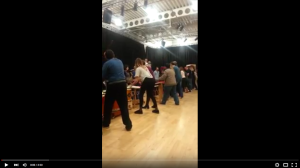 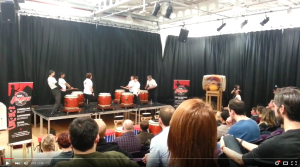 Taiko is a great learning experience for anyone at any level. 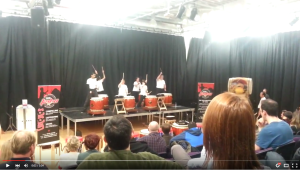 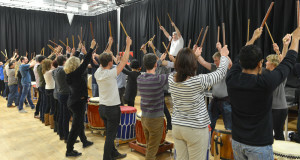 Age and disability are no barrier to the absorbing and exciting art of Taiko, and the atmosphere of creativity and social awareness can have a positive effect on players in and out of the workplace. Taiko teaches discipline, coordination, social and object etiquette, self-control and awareness. With the focus on achievement, teamwork and confidence building, Taiko is the perfect mental and physical workout for everyone – energy and enthusiasm are all you need! 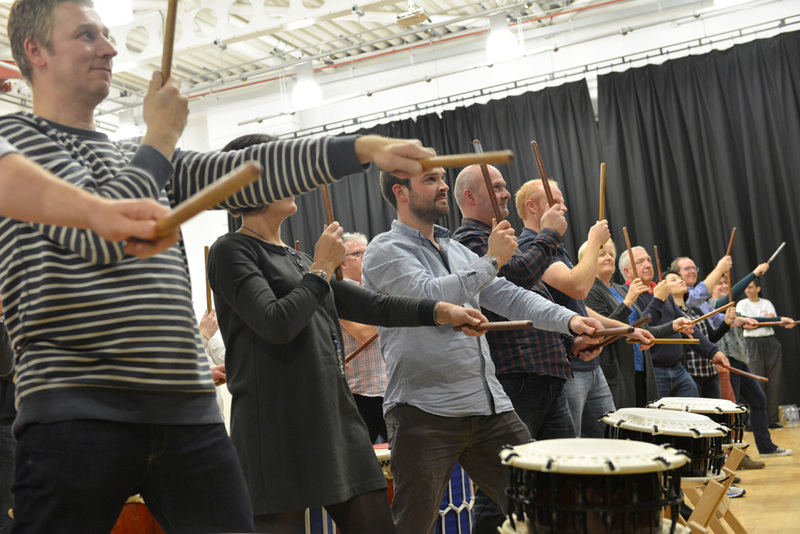 Taiko gives delegates the chance to be loud, creative and energetic in a positive environment where self-expression and passion are encouraged, giving them confidence and a sense of achievement and respect that goes beyond the workplace. 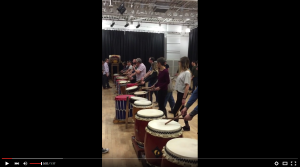 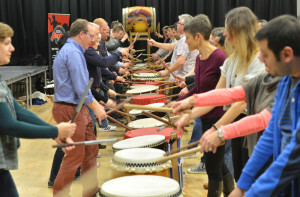 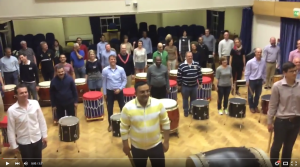 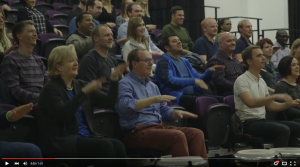 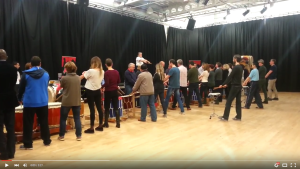 CCS Taiko can develop and entertain your staff with a physical and mental team building event; a single workshop, or a regular schedule of workshops, to be implemented in the workplace or a venue of your choice. Group sizes can vary in size, but groups of up to 20 players would be optimal. 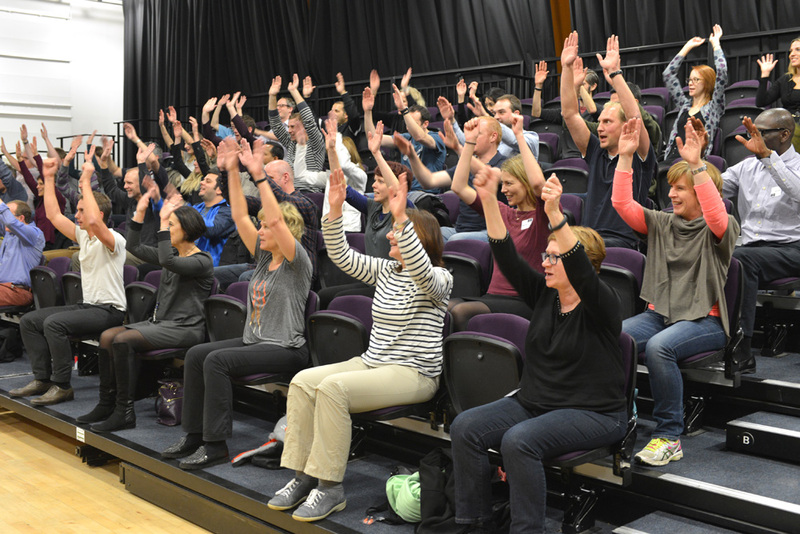 Workshops can be tailored according to your team and budget, addressing specific objectives and requirements. Please click on the following links to view more of our corporate training.